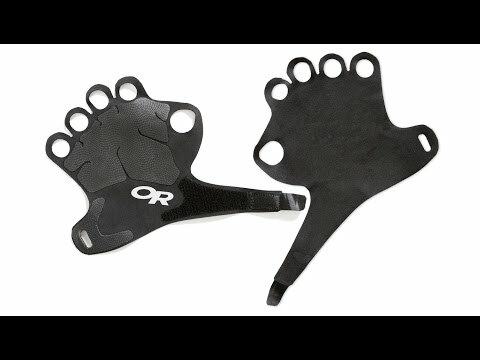 Crack climbing is the truth, but before you start thrashing and punching for the next fist jam, slide on these gloves and protect the backs of your hands from torment and abuse. They grip well even in smooth-sided cracks and won't end up in the landfill like tape. Designed with help from the crack-master himself, Hans Florine. Go forth and send. Made from stretch polyester synthetic suede for a snug, secure fit. Synthetic leather reinforcement adds protection in key area.